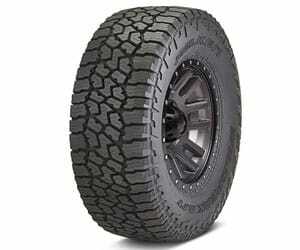 Falken and BFG are top brands known for manufacturing some of the best all-terrain tires. 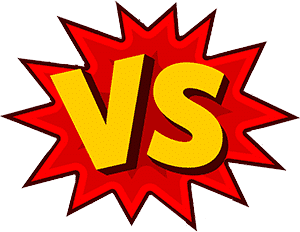 The Wildpeak ATW and KO2 are such examples, but for now, we would rather put one in the blue corner and the other the red corner to determine which fares well in performance capabilities. However, the final decision always lies with the buyer. The perfect tire may depend on the climate you drive in, the size of your wheels, and the performance level your car was tailored for. After putting your needs into consideration, we have come up with a comparison review of all-terrain tires. With help from a few consumer reports, you will find everything you need to know about the forgoing tires. Falken tires are owned by Sumitomo Rubber Industries, a Japanese company that specializes in making tires for passenger cars, light, and medium trucks. The tires were first launched in native Japan in 1983 and later introduced to the North American market in 1985. Falken throughout the years has established its footprint in the sports industry by sponsoring teams in the English Premier League and German Basketball League. They have also more than once won the award for the King of The Hammers Every Man Challenge. You can, therefore, expect nothing but innovative quality from Falken. The Falken Wildpeak AT3W is designed to give you an adventurous ride as it can stand any weather and any road condition. At first glance, you will notice that the tread pattern is perfect for off-roading and at the same time looks aggressive and screams durability. If you touch it, you will feel that it has a tough construction and the quality of the material is exquisite. It’s constructed with a silica tread compound that gives the tire astounding performance in wet, snowy, sandy and muddy terrain. The tire’s outer sidewall features a special heat diffuser mechanism which keeps the inner casing guarded against over-heating. This at the same time maintains a decent level of grip and traction even in extreme driving conditions. The upper sidewall located just below the offset shoulder block, on the other hand, comes with a unique feature that protects the tire’s body from cuts, punctures, and scratches. Also, when there is a drop in tire pressure, the sidewall maintains excellent traction and grip even in rocky terrain. The Falken AT3W outshines its competitors with its anti-wear capabilities, winter performance, and wet capabilities. This tire seems to have a double personality by being both an all season and all terrain tire. Meaning you will get great performance when riding through a highway and get just as good performance off-road. The AT3W has been lauded by the Rubber Manufacturer’s Association as a worthy of the symbol of excellence given to tires that exhibit extreme snow performance. That is the 3PMSF symbol or the Three Peak Mountain Snowflake. The AT3W may also have the deepest treads in comparison to other all-terrain tires. Deep treads make the tire more resistant to wear and provide channels that drive water and snow away from the tire surface. It also features reinforced tread blocks fitted with support ramps that keep stones and other debris from getting trapped inside the grooves. 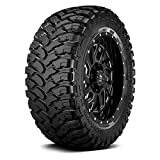 This is a nice set of tires for anyone who is a fan of off-roading and at the same time needs something good enough to drive on the highway as they go to work. It’s incredible how savage the tire can be while off-roading then immediately turn civil when you are in an open road. This tire can last you more than 6000 miles and shows minimal signs of wear. The all-time test for great tire performance is how well it does in deep snow. This beauty passes the test by maneuvering snowy or icy pavements with ease. The tires are also noise-free no matter what surface you ride on. BFGoodrich is an American based tire company that was initially under Goodrich Cooperation. In 1990, it was taken under the wing of Michelin to run its sales. BFG go down in history as the first company to ever make radial tires that revolutionized the all-terrain tire category. The tires have penetrated the aviation market and are a favorite in the rally industry. BFG tires are also continuously developing with manufactured improvements. The BFG T/A KO2 is an all-terrain tire designed to withstand heavy loads and give years of dependable use. This helps reduce downtime costs especially if you’re running delivery trucks or 18 wheelers. The KO2 tire features a sidewall rubber compound which makes the tire thick and durable. The tire Features BFG’s signature polyester cord sidewall 3-ply construction (Tri-Gard) and twin steel belts reinforced with nylon that makes the tire strong and wears resistant. At first glance, the construction will point to an extended sidewall and a thicker rubber which boasts of sidewall strength that limits sidewall splitting which is the ruin of most tires. The shoulder tread area is fitted with mud buster bars or raised bars that drive out compacted mud. 3D active siping technology also improves traction in muddy conditions. BFG KO2 offers superb dry and wet traction due to its full tread pattern. Its excellent traction capabilities can also be attributed to the interlocking tread pattern that is a product of computer optimization in the molding of the compound that gives it an all-terrain pattern. What’s more is that the tire is fitted with bulging rubber blocks on the sidewall (side biter lugs) that increase traction for navigating through snow, mud and also aids in rock climbing when aired down. Such heavy tread and tire construction don’t mean that the KO2 is rough on the road. On the contrary, it offers a comfortable ride with minimal noise. Also, the strength of the KO2 gives the tire an extended tread life by 15% on asphalt and twice the life on gravel surfaces in comparison to other BFG KO models. The tire has a special decoupling groove that helps resist irregular wear and follows a five-rib, five-groove design for excellent water evacuation. The tire is greatly responsive to hard steering and cornering, and the steering feels light in that regard. This quality makes KO2 the best tire for long distance traveling. All these features come together to gift the BFG KO2 a three-peak mountain snowflake meaning that meets and exceeds the requirements by the Rubber Manufacturer Association snow traction requirements. The BFG KO2 is a huge upgrade from the previous KO tires. First off it offers a smooth noise free ride on all terrain and the traction and grip never waver for the extended life of the tire. The tread construction is tear, chip, cut and puncture resistant. The tire is as tough as steel and is built to last and is, therefore, the ultimate all-terrain tire. Plus, the footprint tread pattern and toothy sidewall lugs make the tire look fresh and bad boy suited for the off-road terrain. It may be higher on the price scale, but it’s worth it. The BFG KO2 and the Falken AT3W both share some similar characteristics as all-terrain tires. They are both all-terrain tires that show excellent traction capabilities over deep snow and mud. They also have long tread life and offer a comfortable, noise-free and smooth ride. To choose one over the other is therefore difficult. But we can, however, break down the details of the convenience they offer to the end user to pick out a winner. If you are on a budget, then the Falken AT3W is your riding beast since it is relatively cheaper in comparison to the competition. BFG is however available in more stock sizes whereas the Falken AT3W is only available in a limited number of sizes. That aside, when it comes to construction the BFG has invested in CoreGard Technology which entails making the sidewalls stronger to prevent splitting. That gives it a one up over the Falken AT3W. 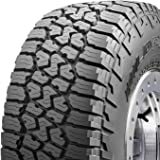 Are Falken Wildpeak tires any good? Who are Falken tires made by? Where are Falken tires made at? How long do Falken tires last? Has there been a recall on Falken tires? What is a KO2 tire? What does ko2 stand for? Are BFG KO2 good in snow? Are BF Goodrich All Terrain tires quiet? What’s the difference between KO and KO2 tires? Does Michelin own BF Goodrich? How long do BFGoodrich tires last? Falken Wildpeak tires are effortlessly striking. It is also extremely versatile with top notch all weather and all-terrain performance. They provide excellent wet and deep snow traction and perform just as good on smooth surfaces. The tires are noise free and can easily climb over rocky areas. Sumitomo Rubber has manufacturing plants in Tonawanda near Buffalo, New York. First off, Falken tires are backed by a six-year limited warranty by the manufacturer. The tires can last you for 60,000 miles with normal use, but that number is greatly reduced with frequent off-road activities. 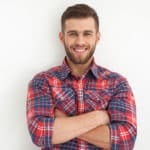 To preserve the life of the tires, the manufacturer recommends turning them after every 5000 miles and regularly inspecting your tires for any cuts, punctures and road hazards that may penetrate the tires. Return default tires to the dealer to correct the faulty issue. National Highway Traffic Safety Administration (NHTSA) once put a notice for the recall of Falken RI151 225/70R19.5. Sumitomo then filed a petition to contest the ruling that the tires were a threat to motor vehicle safety and instead stated that it was a mislabeling issue with the tires. The recall was then lifted when it was found to be a labeling issue, and that the tires met all safety requirement by the federal law. 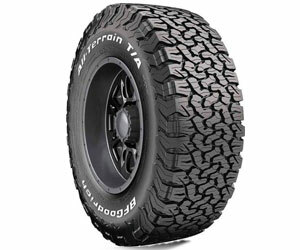 A KO2 tire is a product by BFGoodrich and holds the title of being the toughest All-Terrain type tire. It features a tough tire fabric construction, durability, excellent traction, and long tread life. The KO2 tire is designed with a special feature that is, a bruise resistant sidewall rubber that prevents the sidewall of the tire from splitting due to cuts, punctures or scratches. KO2 stands for Key Benefit On –and –Off Road. Yes, it is. It has side biter lugs on the sidewall, 3-D sips for creating biting edges and an interlocking tread pattern that increases the traction in snow. Yes, they are. The tires ride comfortably and have no road noise even on rough terrain. When it comes to the construction, KO2 features a serrated and side biter lug unlike the straight shoulder version of the KO. This makes the KO2 the first BGF tire to resist sidewall splitting by using CoreGard Technology. The KO2 is also stocked in more sizes than the KO. Yes, it does. The Goodrich Corporation surrendered its ownership of BFG tires to Michelin in 1988. Michelin Inc., based in North America now own Goodrich and manufactures tires suitable for automobiles, aircraft, space shuttles, bicycles, motorcycles, and heavy equipment. Generally, the longer you use the tires on the road, the more likely you abuse them and reduce their lifespan. You would expect more life if you mostly use them on smooth surfaces than for strenuous activities like rock climbing. Nevertheless, you can get about 50,000 miles from the tires and 40,000 miles or less for off-road activities. Passenger vehicles are guaranteed 65,000 miles or more. The BFGoodrich warranty covers the tires with a limited warranty valid for six years from the date of purchase. If your car tires have worn out treads and the traction is below average even in wet surfaces, then it may be time to try out some new tires. Consider going for the all-terrain tires in our review as they offer topnotch performance capabilities and boast of long tread life. You will also be at peace when you realize that you no longer have to have a tire change when it starts snowing or gets muddy. You only need one tire that can do it all.